Iconic and multi-platinum-selling band Rivermaya releases their much-awaited single Pilipinas, Kailan Ka Magigising? This single is the band’s first single in four years. Pilipinas, Kailan Ka Magigising, penned by founding Rivermaya member Mark Escueta, is reminder to everyone to go against crab mentality, and selfishness, especially now that another elections is within the horizon once again. The single will also have a music video, set to premiere soon, that highlights the fact that only a nation that thinks and acts as one can effectively employ change. 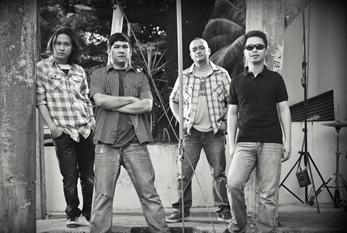 This release is also the band’s first project with their new label Universal Records, where they join the label’s elite roster of bands – Parokya Ni Edgar, Kamikazee, Sponge Cola, Calla Lily, among others. “It's really a great honor for us, not only to become part of such a high-calibre roster, but to be given the chance to work with a company that has always championed the Filipino artist. It took a few weeks for it to really sink in. Di kami makapaniwala,” says Mark. “Finally, we're ‘home.’"
and also check out the bands voice blogs on the Bubbly App for iOS or Android. Their official website is www.rivermaya.ph.